Mix Dofollow/Nofollow (Max Percentage will be dofollow)! Generate Massive amounts of Web Traffic via the most Advanced Technique available. Backlink properties settled in a pyramid scheme is an advanced but extremely effective technique. 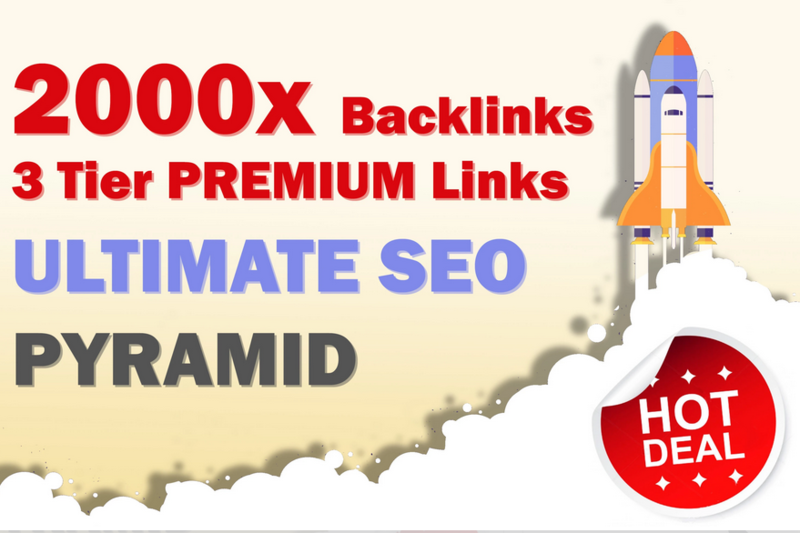 backlinks service and ENHANCE YOUR RANKINGS! This three tiered link pyramid will definitely empower your SEO effort and rock your ranking.